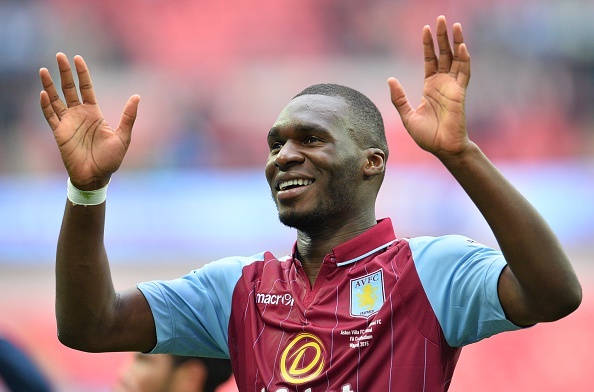 Manchester United will be looking to buy a new striker this season to replace misfiring Radamel Falcao and Robin van Persie, and according to the Daily Star it looks like Aston Villa’s Christain Benteke the man they are looking a.
Benteke is valued at £25 million by Aston Villa, and it seems Louis van Gaal is fine with the price. 19-year old James Wilson though would face a problem if the Belgian were to sign for United. But sources claim that the youngster would be sent out on a loan, with Newcastle United believed to be leading the chase. According to recent reports from Southampton, it seems that Nathaniel Clyne is close to signing for Manchester United. Clyne only has one year left in his contract and is currently one of the best full backs in the Premier League. Reports from Goal suggest that Clyne has told Untied that he is interested in joining them this summer. 20-year old Ozan Tufan will cost €12 million for any club interested in him says Bursaspor, and United are one of many clubs interested in him.